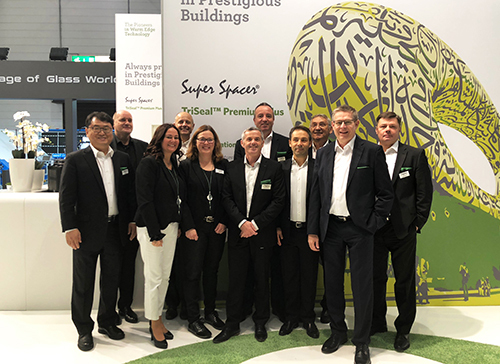 Warm-edge experts Edgetech have returned from a highly successful appearance at Glasstec 2018. Celebrating its 25th anniversary, Glasstec is one of the world’s biggest and most respected glass industry trade expos, and this year drew more than 42,000 visitors from over 120 countries to Dusseldorf between the 23rd and 26th of October. Tall, tower block-style buildings are also very popular in the area, which also presents challenges. Again, Super Spacer’s flexibility is extremely useful here, significantly reducing the mechanical load. “As ever, Glasstec was an extremely valuable experience for us – it’s no surprise it’s lasted 25 years”, Charlotte concludes.